If you were to gather 10 people together and ask them how to make and can jam and jelly, you would probably get at least 10 different answers. 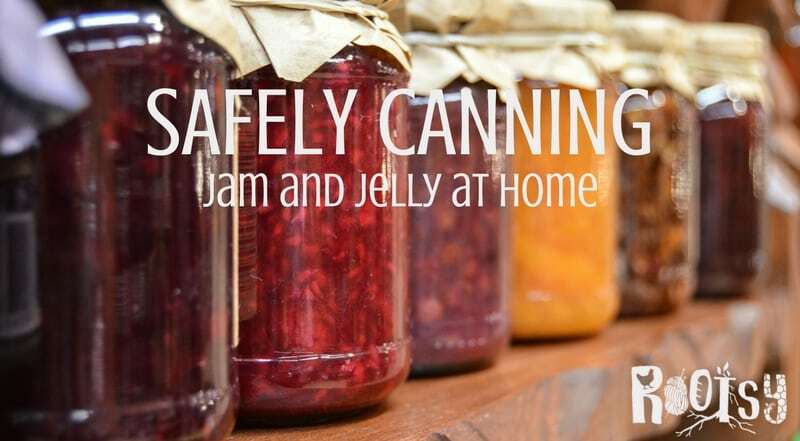 Whether someone grew up canning with Grandma who still clings to the old ways or someone just learned by watching a YouTube video, there are many dangerous ideas out there when it comes to safely canning jam and jelly. Canning is a wonderful way to preserve foods. In 1810, a French confectioner named Nicholas Appert discovered that by heating and sealing food in glass jars, he could preserve many things for months or even years. While the knowledge of just why this method worked wasn’t discovered until many years later, Appert was applauded by many, including Napoleon Bonaparte. Since then, many studies have been done over the years to find the safest and best way to can foods. When done incorrectly, canned foods can be deadly, but when done right, you have the satisfaction of providing healthy and safe foods for your family. There are so many different kinds of jams and jellies, but all are made in a similar way with similar ingredients. Every wonder just what the difference is between jam and jelly? Jelly is made from fruit juice and is almost translucent. It should hold its shape when scooped out of the jar. Jam is made from crushed or ground fruits. It should hold its shape somewhat like jelly, but not quite so much. Fruit butter is made by cooking fruit down to a very thick consistency and spreads easily. It will not hold its shape like a jam or jelly. Marmalade is jelly, but with bits of fruit throughout. Conserve is a lot like jam and is made from a mixture of fruits. Most include raisins and nuts. Preserves are whole or large pieces of fruit in a syrup with no gel to it. Jams and jellies usually have only four ingredients: fruit, pectin, acid, and sugar. Some jams and jellies are made without pectin. Pectin is what causes it to gel. Some fruits have pectin naturally, so they do not need extra pectin added to make a jelly. Slightly underripe fruits tend to have more pectin than fully ripe fruit. Tart apples, gooseberries, currants, Concord grapes, currants, sour plums, cranberries, and citrus fruit all contain a considerable amount of pectin. Apricots, blueberries, cherries, strawberries, peaches, pineapple, and rhubarb are very low in pectin. Pectin is bought in either power or liquid form. Whatever kind the recipe you are using calls for, do not substitute. You cannot switch out liquid for power. Your jam or jelly will not turn out right if you do this. 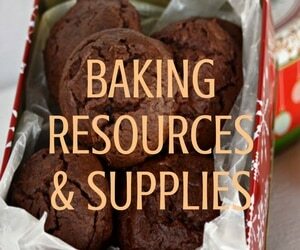 Some recipes are made with low-sugar. You will need a special low-sugar pectin for these. Pectin is bought in either powder or liquid form. Use the kind of pectin your recipe calls for, do not substitute. You cannot switch out liquid for power. Your jam or jelly will not turn out right if you do this. Some recipes are made with low-sugar. You will need a special low-sugar pectin for these. Acid helps to add flavor and gel formation in your jams and jellies. Like pectin, it is also higher in underripe fruits. The natural acid in some fruits is enough for certain recipes, while others will call for the addition of lemon juice to add the necessary acid. Sugar also helps in gel formation. Not only does it improve the flavor, but it also works as a preserver. If you choose to make a low-sugar recipe, special “low-sugar pectin” must be used to obtain gel formation. Honey can be used to replace sugar, but it’s best to use a light, mild honey. In no-pectin recipes, honey can replace half the sugar. If pectin is used, sugar can be replaced by honey in a one-for-one ratio. To make jelly, fruit is boiled in water to extract the juice or steamed. When using apples and other hard fruits, add enough cold water to a large pot to cover the fruit. However, when using berries or grapes, you only need enough water to prevent scorching. Strain the juice through either two layers of cheesecloth or a jelly bag. Do not squeeze the fruit as this may add unwanted pulp to the juice and your jelly will end up cloudy. Use the juice immediately or can it or freeze it for making jelly later. Follow your chosen recipe for adding sugar and pectin to your jam or jelly and bringing to a boil. You know it is time for safely canning jam and jelly when you dip a cool metal spoon sideways into the boiling jelly or jam mixture and it breaks from the spoon in a sheet or flake, or you can do a temperature test. You need to cook your jelly to 8 degrees over the water boiling point. (212 plus 8 = 220 degrees) Follow your recipe for how long to boil jam. You can also do a temperature test. You need to cook your jelly to 8 degrees over the water boiling point. (212 plus 8 = 220 degrees) Follow your recipe for how long to boil jam. If your jam or jelly doesn’t gel, it could be due to not enough pectin, incorrect measuring, insufficient cooking time, or overcooking. Jelly recipes should not be doubled, as they usually won’t gel when this is done also. You may be able to immediately re-cook it and be successful. Otherwise, you now have a tasty syrup for pancakes or ice cream! When re-cooking with liquid pectin, for each quart of jelly, measure and set aside 3/4 cup sugar, 2 tablespoons lemon juice, and 2 tablespoons liquid pectin. Bring jelly to boiling over high heat. Add sugar, lemon juice, and pectin. Bring to a full rolling boil for 1 minute, stirring constantly. Skim off foam and pour into sterilized jars and seal immediately. While there are many canning methods being taught out there, the only true way of safely canning jam and jelly is to boiling water bath (hot water bath can) it for a minimum of 5 minutes, although some recipes may call for more time. Higher altitudes require 10 minutes between 1,001 and 6,00 feet and 15 minutes for 6,001 and 8,000 feet. Check your jars. Make sure there are no cracks or chips. The rubber seals on the lids should have no cracks or chips either and no dents in the lids or rings. Fill hot, sterilized canning jars leaving 1/4 inch headspace. Headspace is the space between the top of the jar to the top of the jam or jelly. Wipe the rim of the jars with a damp cloth to ensure there is nothing to prevent a seal. Follow the jar and lid manufacturer instructions for placing closures on the jars. In the water bath canner, the water needs to cover the full jars by a minimum of 1 inch. Place the lid on the canner and bring to a rolling boil. Once the water is boiling, start your timer according to the recipe. Remove the jars and place them on a kitchen towel to rest once the caning time is done. Sealing of the jars can take up to 24 hours, and move the jars as little as possible to allow the seals to cool and set. Looking for other ways to preserve food besides safely canning jam and jelly? Rootsy can help you out! Rootsy has all the information you’re looking for! 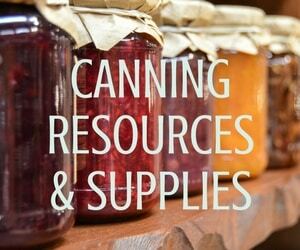 Find all the equipment you need for safely canning jam and jelly here, all with a Rootsy stamp of approval! Whether it’s canning foods, learning herbal remedies, being sure your family is prepared for an emergency, or keeping backyard chickens, Rootsy has what you need!